Museum School Collaboration: this Youtube clip featuring the Take One project at the Ashmolean Museum shows the results of the collaboration between the Ashmolean museum and schools. You don’t need to be a large museum to do this though. 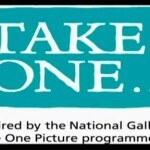 The idea of the take-one project is to feature one museum object. Teachers were invited in to the museum to select which object was to be the features of a history unit. Picutres and background about the chosen object were shown to students prior to the visit. By the time students saw the ‘real object’ on the visit to the museum – it had taken on ‘Superstar’ status. It is incredible the number of activities that were then a spin off from the one artefact. Have a look!